With the holiday season in full effect, the spirit of giving back is among us, but by creating a culture of volunteerism at your company, you can embrace and promote this feeling year-round. In May 2017, Deloitte conducted their annual volunteerism survey in which they interviewed 1,000 U.S. adults to explore how employed Americans view volunteerism in the workplace. The survey uncovered that 69% say they are not volunteering as much as they would like – why? One reason is time; 61% of respondents noted they cannot dedicate time during the day to volunteer. These findings along with the others discussed below, highlight the unique opportunity and need for companies to create a culture that supports and promotes giving back. However, a solid strategy and strong team commitment must be in place to incorporate this effectively and efficiently. At Personify, we have the commitment – as recruiters, our job is to help people. In 2017, we developed a unified strategy to capitalize on this passion. Here are some ways we have created a culture of volunteerism. Deloitte found that 70% of employees believe volunteer activities are more likely to boost employee morale than company sponsored happy hours; however, in order to capitalize on this, you must create the space for it to happen. In July 2017, Personify restructured our committee system, revamping our approach to charity initiatives. The Community Outreach Committee is responsible for organizing volunteer opportunities for employees, as well as supporting on-going activities and partnerships with non-profits in the Triangle. We have joined forces with our Culture Committee to throw a company-wide Halloween party for the kids of the Brentwood Boys and Girls Club, as well as the Corporate Wellness Committee to form a team for the City of Oaks race series to raise money for Girls on the Run and Rex Hospital. By partnering with different teams internally and showing employees these behaviors are encouraged and supported, we are able to create the space for charity efforts to happen organically. Any employee can organize a donation drive or reach out to other team members to help with a volunteer event on the weekends and know they have access to a pool of 80+ people who are eager to help. The Deloitte survey found that employees agree that companies who sponsor volunteer events have a more pleasant work atmosphere, but volunteering is not a “one size fits all” experience. The key to engaging a large portion of the employee population is to offer a variety of activities. These can vary in time commitment, type of activity, and involvement. Days of service: We partnered with Activate Good, a local non-profit that helps match companies with service projects and causes in the area, to plan a company-wide day of service. Our team worked with Raleigh Rescue Mission and Mission Thrift Store sorting clothes, Horses for Hope landscaping the farm, and Inter-Faith Food Shuttle delivering meals to senior citizen. Our size makes volunteering all together at one facility difficulty, but having a day of service allows us to unite as a company that is committed to giving back. In-house volunteering: We have experimented with hosting volunteering opportunities in our space, rather than going offsite. 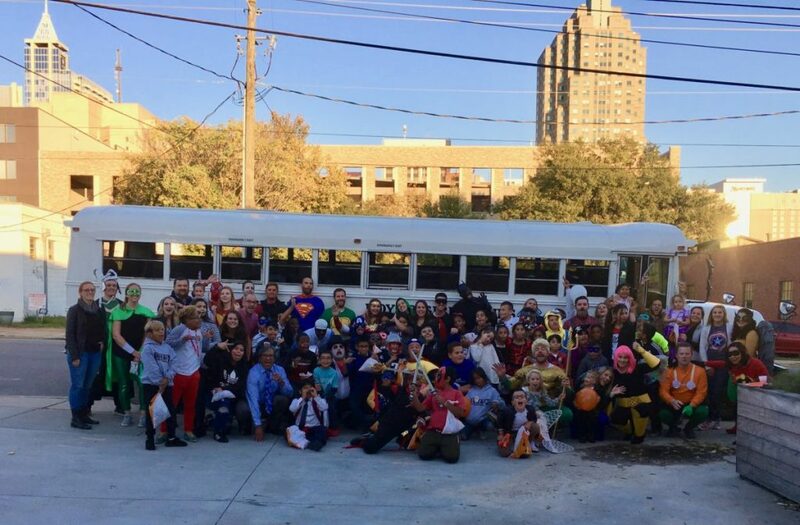 We threw a Halloween party and cookout for the kids of the Brentwood Boys and Girls Club at our office. We decorated our office and helped the kids paint pumpkins. Bringing volunteering to the office was a convenient option for our employees and a unique “field trip” for the kids. 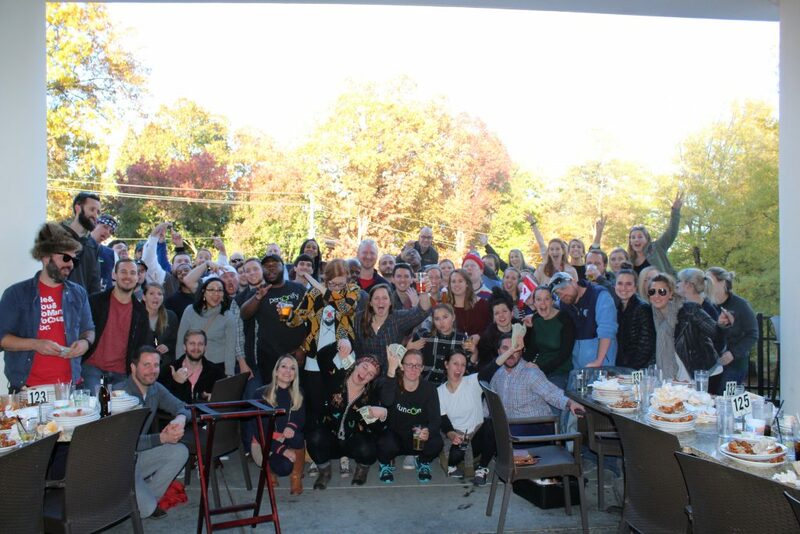 Fund-raising: At our annual Thanksgiving wing eating contest, our employees teamed up to eat chicken wings to raise money for the Raleigh Food Bank, and Personify donated $1 for every wing eaten. Opportunities like this allow employees to work towards a common goal, encouraging teamwork and collaboration. In-kind donations: This year we collected supplies for various donation drives, including diapers for Hurricane Harvey victims, school supplies for the underprivileged kids, and canned goods for Inter-Faith Food Shuttle. These mass participation opportunities allow our employees to collectively, and easily, help multiple groups in our community. Ongoing volunteer options: We offer bi-monthly volunteer opportunities for our employees after work. These allow groups of 3 to 4 Personians to serve at the Salvation Army soup kitchen or coach teens at the Haven House boxing gym. Because they do not have to commit an enormous amount of time or sacrifice being away from their work, it allows more individuals to get involved. By incorporating different types of volunteer options, you are able to balance preferences and time, while also remaining dedicated to creating a culture that cares. In the Deloitte survey, 75% of working American millennials indicated they would volunteer more often if they had a better understanding of the impact they were making. This highlights the importance of companies not only providing the opportunity to help but also communicating the benefit of the contributions (time or donations) to the group you are helping. 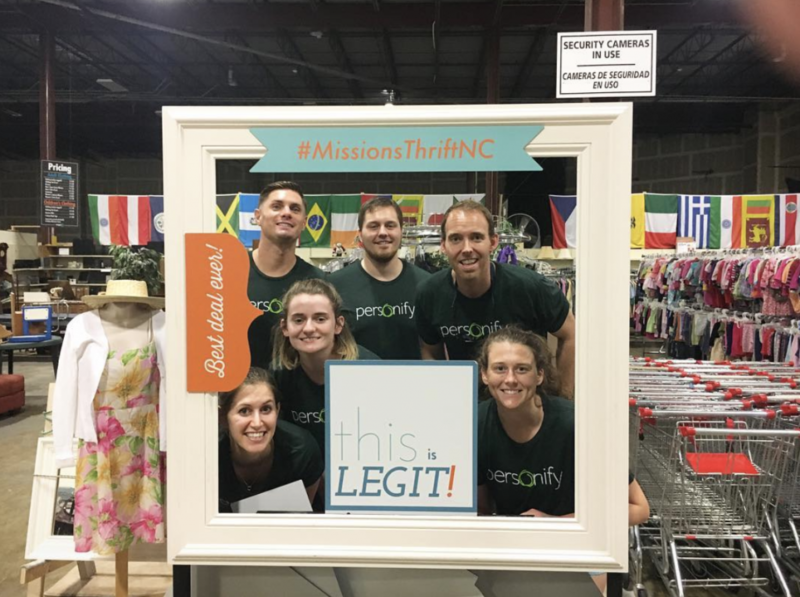 At Personify, we have realized the importance of conveying the “why” behind our volunteer events to gain support and full buy-in from our employees. Before the event, the message can be conveyed by showing our team a testimonial video from past volunteers, making flyers for the event and hanging them around the office, or simply sharing more information about the non-profit’s mission. Relaying the impact message to your team after the event is equally as important; make sure to highlight the work you did and how it benefited the recipients. Employees want to volunteer, and with the right strategy, you can create a culture of volunteerism that is beneficial to not only your company and employees but also non-profits and those in need in your community. My name is Elizabeth Black, and I’m the lead for the Personify Community Outreach Committee.